2) "The absolute best sure-fire way to make a good living is to help someone else make a good living." 4) "Success comes from continually expanding your frontiers in every direction—creatively, financially, spiritually, and physically." 5) "The only truly safe thing you can do is to try over and over again." 6) "My network is not the list of how many people I know. The strength of my network is how well everyone on the list of people I know, knows each other." 7) "Nothing ever works out when you are at the whims of others. It doesn’t matter if you are an entrepreneur or an employee." 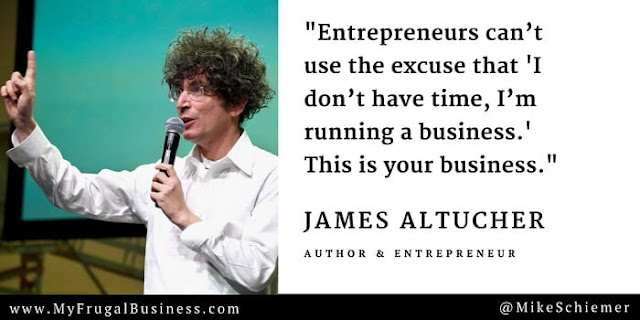 Thanks James Altucher for the motivational business quotes! I hope you enjoyed this compilation of motivational quotes from entrepreneur extraordinaire James Altucher.